Anna Rich was born, in 1847, in Russian-occupied Poland. In 1862, Anna Rich journeyed to London, England. In London, Anna married Wolff Marks (1842-1918). Soon after, they traveled to America, making their way West to Salt Lake City, Utah, where they established a dry goods store. 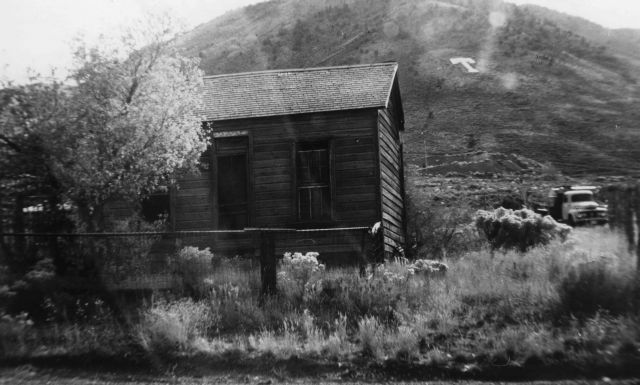 In 1880, Anna and Wolff Marks first settled in Eureka City, a tintic mining town 60 miles south of Salt Lake City. As they made their way via wagon train, Anna Marks rode in the first wagon. At Pinion Canyon, they encountered a toll gate. Anna refused to pay the toll, using curses and guns to tear down the gate. In Eureka City, Anna staked out some land for her general store and set up shop. Her ownership of this land was contested by Pat Shay, with whom she traded curses and arguments. Eventually, she drew her guns and shot at him. Wolff Marks was the gentler of the two. Children entering their store always received a free stick of candy. Anna owned the controlling interest in two mines, as well as real estate, in Eureka City and Salt Lake City. She also invested in diamonds. She initiated many lawsuits regarding the borders of her land. She infamously held up the Denver & Rio Grande Railroad at gunpoint until they paid to cross her property. 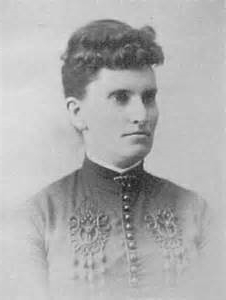 In 1912, Anna Rich Marks died in Eureka City, Utah. 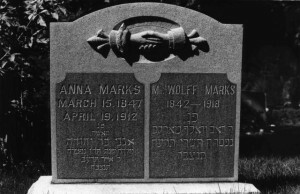 She is buried in the B’nai Israel Cemetery in Salt Lake City, next to her husband. Norton B. Stern, “‘The Intrepid Anna Marks,’ Eureka City Nevada & Salt Lake City Utah, 1847-1912,” Western States Jewish History 41/4. Eileen Hallet Stone, A Homeland in the West: Utah Jews Remember (Salt Lake City: University of Utah Press, 2001). Samantha Silver is curator of this Anna Rich Marks exhibit.